Insular Life is the 2017 Domestic Life Insurer of the Year and UnionBank is the Best Commercial Bank of the Year Philippines 2016. 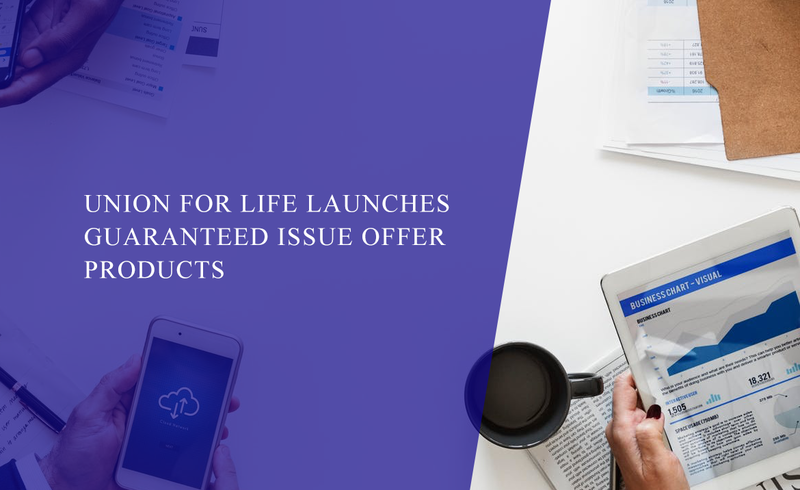 Union for Life, the Bancassurance partnership of Insular Life and UnionBank of the Philippines, recently launched two guaranteed issue products exclusively offered to UnionBank clients. funds. As a Guaranteed Issue Offer, applications for Security are accepted and approved instantly as it does not require medical examination, health questions, or a long list of requirements. Insular Life Bancassurance Chief Executive, Mr. Omar T. Cruz, explains “We understand that some clients do not have the luxury of time to go through the medical procedures that usually accompany large life insurance applications. Rather than missing out on an important financial protection coverage, they now have the option to get covered subject to certain limits and conditions.” Insular Life Security provides life insurance coverage equal to five times the annual premium plus the fund value earned by the policy. Funds that the policyholder can invest in include fixed income assets, equities, or a combination of both. Insular Life Prominence is a GIO, single-pay VUL product that gives clients access to a diverse portfolio of high yielding assets while providing life insurance protection. Coverage is equal to 125 percent of the single premium or the fund value, whichever is higher. This product is ideal for clients who have a lump sum amount which they wish to grow for future needs like a child’s education, the family’s travels abroad, or for retirement. The plan also allows additional investment anytime, in the form of a top-up. A top-up also increases the life insurance benefit. Aside from being able to invest in local bonds and equities, Insular Life Prominence opens the door for clients to invest offshore using local currency through the Peso Global Equity Fund. This fund aims to achieve long-term growth and capital appreciation by investing majority of its assets in instruments whose principal exposure is in income-producing equity securities in markets throughout the world. Some companies composing the fund include Microsoft, Pfizer, Unilever, Kraft and Telstra. “These are breakthrough products for the two companies. The Union for Life brand banks on the close connections, relationship and trust that have been built by UnionBank’s Relationship Managers and Financial Advisers with their clients. This affiliation, plus the inclusion of life insurance in the product portfolio of the bankers, enable their clients to benefit from the complete roster of product solutions that can address their various financial needs.” says Cruz. To know more about these Union for Life product solutions, contact your UnionBank Relationship Manager/Financial Adviser or visit www.unionforlife.com.ph.